Provided photo The Dianne Coble Ensemble will open the Friends of the Piqua Public Library’s Library Lounge Series, themed ‘Music of the Night,’ with a Motown show at 7 p.m. Friday, Feb. 22, at the library, 116 W. High St.
PIQUA — The Friends of the Piqua Public Library have announced that the first event in their 2019 season, “Motown,” will be on Friday, Feb. 22, at 7 p.m. at the library, 116 W. High St. The theme of this year’s Library Lounge Series is “Music of the Night,” and each program will highlight a different genre of music. The Dianne Coble Ensemble is based in Dayton, but its director and namesake is a graduate of Troy High School who is also the music director of Resurrection Parish. Since 2012, this large choir has been sharing their message of joy in music by performing throughout the Midwest. In December, the ensemble performed a Christmas concert to a standing room-only crowd at the Troy-Hayner Cultural Center. This 12-plus-member choir will be singing their favorite Motown hits with characteristic soulful rhythm and enthusiasm. Expect to hear some old favorites, and expect to leave humming and with a smile on your face. The performance is free and open to the public, but tickets are required for admission. Tickets are available to the public beginning Monday, Feb. 18, at the front desk of the library. Seating is limited. The Friends of the Library are supporting the Clifton Alexander Little Free Library, so a donation of a gently used book will be appreciated. 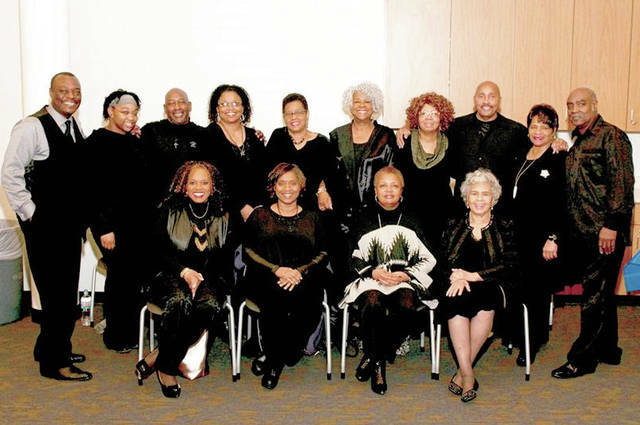 https://www.dailycall.com/wp-content/uploads/sites/30/2019/02/web1_ensemble_cmyk.jpgProvided photo The Dianne Coble Ensemble will open the Friends of the Piqua Public Library’s Library Lounge Series, themed ‘Music of the Night,’ with a Motown show at 7 p.m. Friday, Feb. 22, at the library, 116 W. High St.